I have a confession to make. I’ve been cheating on Pinterest with this new site called Countr. If you haven’t heard about Countr yet, you are sadly missing out. Countr is the only social shopping platform that lets you one-stop comparison-shop and buy from hundreds of your favorite stores in all on one tab, in one cart. 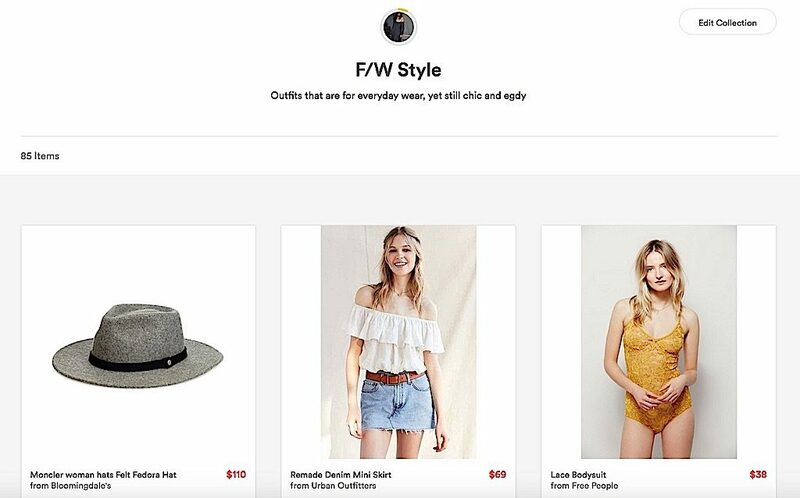 All of your favorite stores like Zara, Anthropologie, Revolve, Forward by Elyse Walker, Bloomingdales, Free People, and J. Crew are just a few of the brands. And that’s just fashion! Countr also has beauty product retailers like Dermstore, Ulta, Beauty Habit, and all the department store beauty brands AND home stores like One Kings Lane, IKEA, Williams Sonoma, Crate and Barrel, Serena & Lily and more. Like I said, it’s a one-stop shop! Countr is like Amazon + Pinterest + Facebook combined to make one amazing site! This sweater, jeans, and pumps are different brands that can all be found on Countr and paid for on one site. For me, I do about 90% of my shopping online. Other than saving me time though, I wish I could also get some perks or discounts for online shopping. I mean, who doesn’t like to save money? That’s where Countr comes in and saves the day. 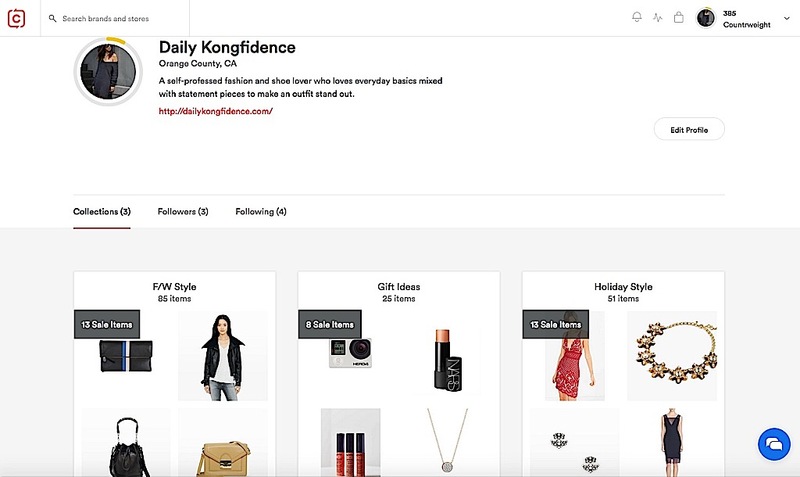 Countr makes retailers reward you as you shop. Countr gives you points called “Countrweight” which can be used to unlock better deals and exclusive promotions from retailers. So how do you get these points? The higher your Countrweight score, the more personalized, exclusive and better deals you get. So not only do you get to shop from your favorite brands all on one site (even sale items), you also get rewarded for shopping! I don’t know about you, but I could always use special deals and offers on anything I buy especially if I purchase a brand often like Zara and Revolve. If all this doesn’t convince you to check it out, may this will. You can even ask the retailers for a reduced price for the items you want to purchase that makes sense to you. Say what?! Yes, you can offer a price for what you want to buy (unheard of)! What Countr is doing is making everyone a brand advocate so you can chat, help friends, get followers and get the pull you want with retailers. 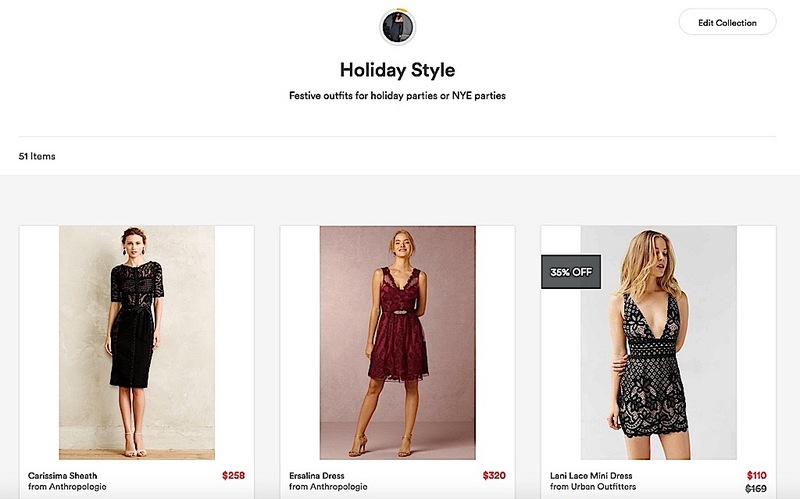 I first started using Countr to create some holiday looks for upcoming parties and events. I created a “Holiday Style” collection saving all my favorite outfits and shoes (just like Pinterest). I got so obsessed with saving my holiday favorites, I created a new collection called “Fall/ Winter Style” because I wanted to curate all the cute sweaters and coats to my profile as well. Let’s just say that led me to create more collections along the way (it’s so much fun)! After creating all these looks in my collection, I was able to purchase several items from different brands and check out in one cart (like Amazon). Then after I purchased these items, I was able to share them with my followers and friends (like Facebook). This is a great way to connect with my followers and help them shop and find amazing products. Countr truly is smart shopping for the social generation! Countr is still rolling out the rewards feature in the new year, but until then, you can still collect your Countrweight points by creating collection boards. Later these points can be cashed in for further discounts from 40% off items to getting them for completely FREE. Thank you to Countr for sponsoring this post and making my shopping life SOOO much easier! All opinions and reviews are my own. Oh what a new and interesting way to shop. Love the coat and jeans by the way! Thank you Lisa! It is so easy and fast and I love that you can shop all your fav brands on one site! Thank you Josipa! Have a lovely weekend and finish up your holiday shopping with Countr! You are so sweet Josipa! Thank you! Awww, thanks Emma, that means a lot to me! The jeans are from Zara and they can be purchased on Countr too! Loving your coat! Such a chic look! Thank you Floortje. Check out Countr and all the amazing shopping deals! I never heard about this but I’m going to check this out, it looks like a dream! Thanks for sharing and have a nice weekend! Thank you Violette. It truly makes shopping so easy! Thank you Hadasah. You can find designer products on this site too! Check it out! What, you are kidding me!!! This is amazing, exactly the kind of stuff I was looking for, I have o check out Countr!! Would definitely save me a lot of time and money as you said. Love your pants and heels hun, such a casual and chic look. Yes Kusum! Check it out and enter the giveaway. All you have to do is create one collection and you can win $150 to shop there! Wow that sounds like a super awesome site! Getting rewarded for online shopping is something I’d definitely be on board with! Thanks for sharing Countr with us babe. Of course Jo! It really is a cool concept that rewards shoppers like us! =) Create a collection and you may be able to win $150! It is a pretty new site so I am glad I was able to introduce you to it. If you start creating a collection, let me know and you can win $150 to shop! What an amazing and interesting way to shop. Thanks Charissa, check it out and let me know what you think and how you like it! thank you for sharing dear I seriously need to check it out ! Hi Diana! Check it out and let me know what you think. I think it is an easier way to shop than having to buy from several different shops. Thanks Gina! You would like it because you can collect all your favs and create separate collections. Give it a try and maybe win $150! Yes, definitely check them out Darci, this site is great fro bloggers as well, it makes it easy for followers to find you and also you can help them create looks! I really need to check this out since I do most of my shopping online too! A mix of Amazon, Pinterest and FB? Those are the ultimate websites and if they’re combined into one it must be suuuuper awesome! I need to check out Countr and hopefully I can win!! Hahaha! this serves looks really helpful and useful for frequent online shoppers! I love the jeans you’re wearing here 🙂 so chic! Yes, it really is beneficial for online shoppers. Makes checking out super easy and you get so many rewards! Country sounds like something I need to join ASAP! What an amazing concept! Need to check it out and I’ll reach out to you for tips hehehe! On a side note how gorgeous is the outfit you’re wearing! LOVE THOSE HEELS BABE! Thanks Mandy! It truly is a new concept but what we need for our generation. This makes shopping 100% easier and the fact we get rewards and deals from these brands is even better! Thank you babe! Hope you had a great weekend. Never heard about Countr, sounds amazing and will definitely check it out babe. Thanks for sharing! BTW love your look that tan coat is beautiful. Thank you Marcy. This is a new site, but definitely worth checking out! What a fun way to shop Christine! For a moment, I thought the interface looks like Pinterest where the products are sorted out in different collections 😉 This portal reminds me of the grocer’s whereby you can buy different products / brands under one roof for added convenience & cost savings 🙂 Will need to check this out soon! Yes, it is totally like Pinterest, but also like Facebook and Amazon as well. It’s the perfect combo of the three. Oh my goodness, I love your coat. So chic and I can’t get enough of your shoes. They’re awesome. Always so stylish. Thank you Sophie, you are so sweet! Thanks so much Carmelatte. Check out Countr for more amazing pumps! Yay, I hope you find lots of things you like and start creating many collections Katharine! HERE IT’S GREAT THIS APP. THIS HELP FOR THOSE WHO CAN’T FIND SOMETIMES IDEAS WHERE BUY ETC. Thanks Eva! It IS a great site and definitely is like Pinterest in that it can help people create collections to see what items to buy and compare. Sounds like a great tool! Are the discounts they offer better than the ones offered on the sites themselves? I know places like Banana or Ann Taylor often provide 40-50% discounts on the regular. Definitely going to check it out and learn more. Thanks! Hi Yasmin! From what I’ve seen so far in using and buying from the site, they also include sale items from the brands. As far as offering additional discounts, I don’t think they match those on full priced items, but the more Countrweight points you earn, you have greater buying power. It is a new site and yes, you will have more buying power especially if you are an online shopaholic like me. The more points you earn with them by creating collections and purchasing, the more deals you can get. They will be rolling out their full rewards program in 2017, so it will be amazing! Oh cool, that sounds so great! Didn’t know Countr by now … And love your outfit with that gorgeous camel coat! Hi Sarah-Allegra! Countr is a new website where it combines the ideas of Pinterest, Amazon and Facebook into one! All of these brands in ONE place! This is so fun! I like to shop online and I love when the shopping experience is made easy! I will definitely sign up! Need to try Countr! Yes, isn’t the concept brilliant Josie! I can’t wait to hear what you think! OMG love your look – sounds like a great app too! 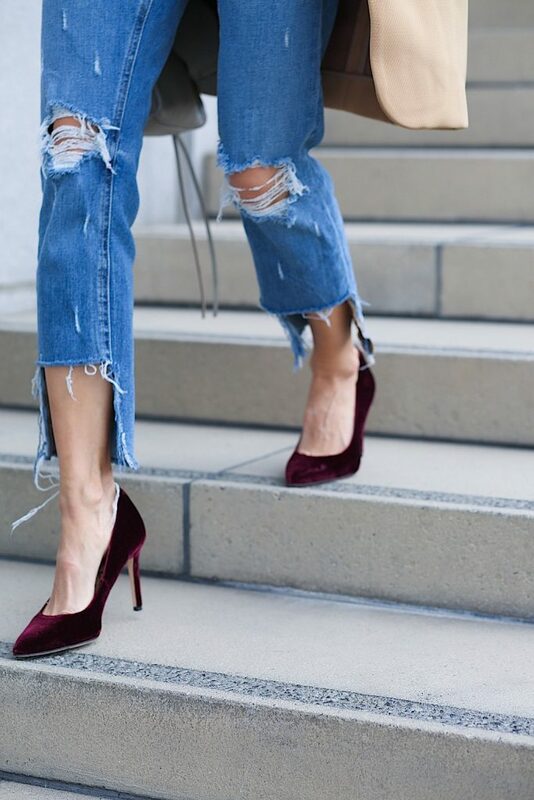 I seriously need to DIY a pair of jeans like that – LOVE! Countr sounds so interesting. I’m amazed by all the cool shopping and inspiration apps that are out there now and it sounds like this one is a leader. I’m definitely going to check it out. By the way, you look beautiful as always and I’m crushing on your velvet heels. You have the best shoes babe!! It is definitely addicting Liz. I’ve already spent hours adding to my collection and creating new ones. Check it out and start earning points so you can get better online deals! I love unique shopping apps like this one! I can’t wait to check it out. It’s really neat that they have so many well-loved brands available to shop from. Thanks for sharing! Yes of course Stephanie. You would probably be surprised to see many of your favorite brands all on this site! wow! I have never heard of this app but now thanks to you I found a new addiction. 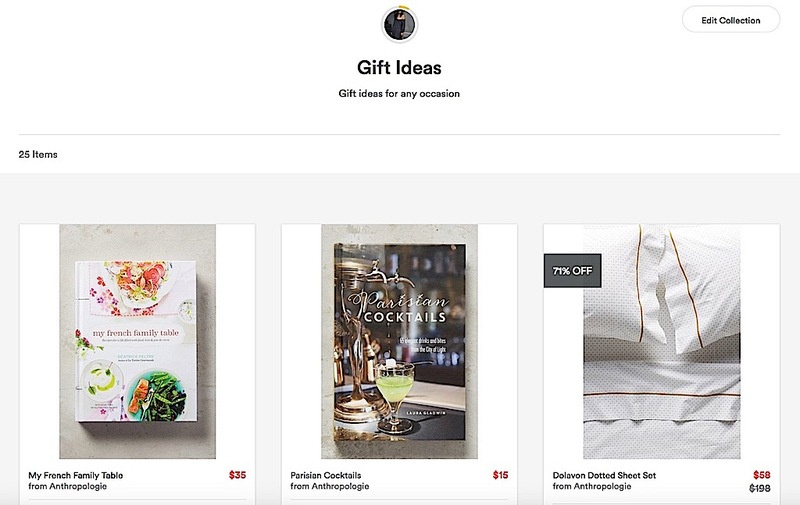 I like the idea of pinterest + amazon all in one shopping online. It look so pretty. Do you know if this also works for canadian/Canada? The Countr program sounds awesome! I mean, who doesn’t like to save when shopping online? Definitely have to check this out. Thanks for sharing! 🙂 Happy shopping! I hope you get a bunch of goodies for a steal this season. You always seem to find the coolest place to shop! This site sounds so interesting and I want to give it a try! I love your outfit, especially the jeans! You pull this look off so nicely! Those heels are cute too! Great post girlie! I’ll have to check this out! Sorry I missed you the other night, would’ve been so fun to meet you! Enjoy the holidays! How incredibly genius and why didn’t I know about Countr!? Thanks so much for the introduction and breaking it down! Excited to check them out! Is it too late to do my Xmas shopping with this site!? Such a great post! I am loving Countr so far. It really appeals to the deal-hunting creative in me! I’m already following you on Countr- see you there! Sounds very interesting – I definitely have to check it out! Btw I love your outfit! You look gorgeous in those velvet shoes! This sounds like a super platform!! I had not heard of it before, but am ready to take a look! Oh, I’ve never heard of Countr before but it definitely sounds like my kind of thing! I’ll have to check it out! Countr sounds like my kind of site. I do most of my shopping online as well so I will def check it out ! And I love your look ! The Burgundy heels add such a cool touch ! Beautiful ! Sound like an amazing app. I need to check it out. I have never heard of Countr before, but it sounds like the marriage of the perfect shopping experience for everything I want in one place. Thank you for sharing! Okay this website sounds SO COOL! And really, really dangerous haha. Loving this outfit on you girl, you are the most stylish little thing ever!! you look amazing babe!! this sounds like something so cool, I’ll be sure to check it out! Yes it is perfect for us bloggers to share our collections with our followers too! You look so sleek!! Countr sounds like an amazing site! Can’t wait to check it out!! Thanks Yuena, it really is a cool concept, you should look into it. Can’t wait to hear what you think! Countr sounds like an amazing app for self professed shopaholics like myself! Thanks for sharing! Hehe, totally Cinddie! And the best part is that we get rewarded for shopping a lot! That’s why this is perfect! You get rewarded for shopping and creating collections and the more you shop, the more pull you have with these brands to get exclusive deals! I had never heard about Countr before, but i really loved the concept. Of course, it is a new site, so definitely check it out and I want to know what you think! Ooooh your outfits are always so cute and I love the cut on your denim! I’ve never heard of countr but it sounds so cool. Especially around these busy holidays it seems like such a great way to shop. Thanks for introducing me to them!!! Hi Danielle! Yes, it would be a great way to shop for the holidays indeed, but at anytime as well. You can not only create collections so you can see everything on one page, but also helps to price compare. Yay, I am glad you found Countr helpful and can’t wait to see your collection! I can’t wait to see your collection Jean! Countr sounds like amazing site. You know I love to do online shopping these days. With a busy work and family schedule, I really don’t have time to go to the stores/malls so this would be a perfect solution for me. Can’t wait to check out their site. Did I mention how much I love this camel coat and those velvet heels? So perfectly styled as always! Totally Jo! Online shopping is the way to go and Countr now makes it so much easier and rewards you for it! Thank you! woww I love everything about this gorgeous post! your sryle, the jeans and the shoes! thank you for all your recommendations about pinterest I really love this platform. Kisses. Never heard of this platform before but it sounds amazing!! Looks like a great new way to find new bits! I love this new and creative way to shop! Thanks for the recommendation! I’ll check it out! I am a big fan of Online Shopping, so Countr sounds amazing. I often don’t get time to shop in stores and I am often wasting time visiting different clothing websites. But this sounds perfect to me, totally sold on the one-stop shop. Thanks for sharing the details. And you’re looking fabulous in this outfit, I love your jeans and velvet shoes. Such an interesting way to shop! Thanks fir sharing! Loving those heels BTW! OMG why did you share this. My bank account will hate me forever. Im already obsessed with amazon!! This is definitely not helping me stop clicking things home lol! Thank you for sharing! This sounds amazing! Saying bye bye to Pinterest now! Your outfit looks gorgeous by the way. Obsessed with the jeans and your pumps! Those shoes complimented the jacket beautifully! Love this ensemble! Wow, thanks for the heads up. They sound addictive hehehehe! This service sounds incredible!! All those platforms rolled into one with personalization – it sounds almost too good to be true!! Not only are all of your looks fabulous, I’m also loving your git idea picks. I will definitely check out this amazing service. Thanks so much for sharing this gem!! I am forever saving items to my Pinterest board and a combination app such as Countr sounds exactly what I need. I’ve not heard of it before but love finding new apps, so thanks for sharing! Love the velvet shoes in your post too. Ohh that sounds like such a wonderful site! I also do most of my shopping online too, it’s just so much convenient than going into a store. And with sites like Ebates, it’s just so exciting to watch those points go up :DDD. I also love your camel coat, it’s so chic paired with velvet wine pumps. I love your style, Christine! I always enjoy finding new handy sites like this!! How great especially for people like me who are just starting to get the hang of online shopping.Your outfit is insanely amazing.I really love the shoes and cot especially. This is so convenient! I have never heard of this site before. I will definitely check it out and make my life easier. Thanks for sharing! Obsessed with your jeans and coat! I definitely have to check out Countr! I’m obsessed with your velvet shoes so pretty, it looks so good with this camel coat. I never heard about this but I’m going to check this out, it looks like amazing! BTW you look amazing, love your heels! I love this post and I’m really loving the deep step hem cuts It looks amazing. killing it!